Drug discovery is a multifaceted endeavor encompassing as its core element the generation of structure-activity relationship (SAR) data by repeated chemical synthesis and biological testing of tailored molecules. 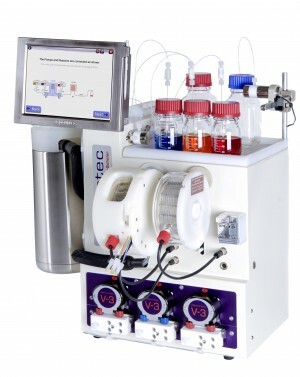 Herein, we report on the development of a flow-based biochemical assay and its seamless integration into a fully automated system comprising flow chemical synthesis, purification and in-line quantification of compound concentration. This novel synthesis-screening platform enables to obtain SAR data on b-secretase (BACE1) inhibitors at an unprecedented cycle time of only 1 h instead of several days. 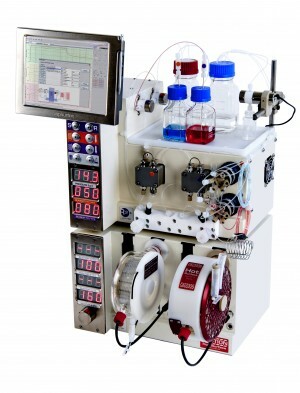 Full integration and automation of industrial processes have always led to productivity gains and cost reductions, and this work demonstrates how applying these concepts to SAR generation may lead to a more efficient drug discovery process.